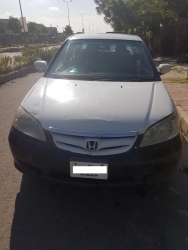 Honda Civic Exi Model 2005. Islamabad Number. Genuine white colour. No accident. Manual gear. A/C. Petrol / CNG. Power window, power stearing. Ready for sale in reasonable price. Please call for price and further details. LED installed. Lightweight allow rims. Original book is available as well. Complete original file is availble. Never been into any accident. Fitted with new tires. Paint touchups in a few places. Driven on petrol mainly. New bettery. All belts have been changed recently. Will be sold to nearest offer. Excellent condition,company authorized dealer workshop maintained,engineer user,urgent for sale. 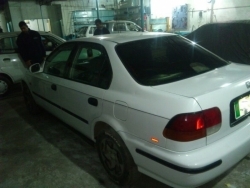 Dec - 2005 car in excellent condition. 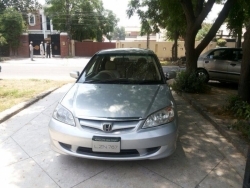 Honda Exi 2005 model Silver color Excellent Condition transmission is manual No work required just hold the keys and drive the luxury car. Please call no messages would be replied. Thank You. 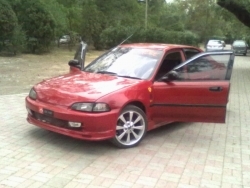 Honda Civic EXI Prosmatic. Total run 97000 KMs. 4th hand. Left fender & door slightly touched. No major repairing required. Sale on urgent basis. Price can be negotiable. Single hand used, only bumpers painted. Car in good overall condition. 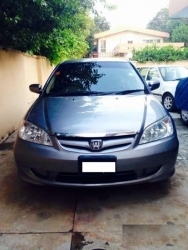 PETROL ONLY Model: Civic Exi Reg: Lahore Year: 2006 Type of car: 4-door Condition: Used HONDA CIVIC EXI!!! A complete package of style, power and comfort!!! 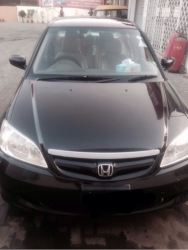 its gun metalic Honda Civic exi 2006, very rare to find a car in such condition. 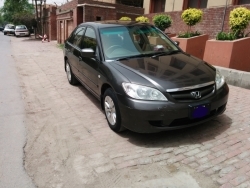 original company fitted 1600cc engine, interior is in total genuine scratch less condition,very powerful trouble free engine, petrol only and you will feel the buzz! 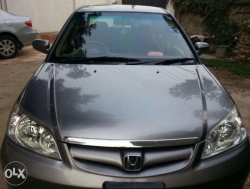 All gadgets are perfectly working, Side mirrors perfectly working even their retract function is also working, you can witness when u visit the car, overall i can guarantee that its a complete package for honda lovers.